Founded 30 years ago, the French cruise line PONANT is today leader in polar expeditions. 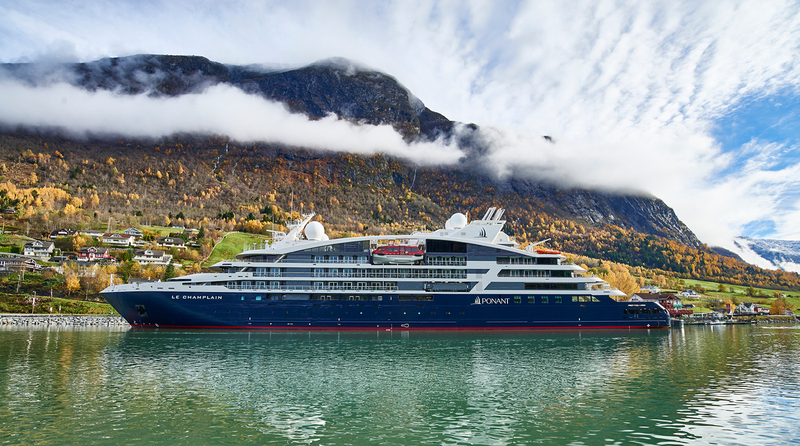 PONANT boast a state-of-the-art modern fleet of expedition ships: 4 “Sisterships” with 130 staterooms and 6 “Explorers” with 90 staterooms. The latest are equipped with the worldwide first multi-sensory underwater lounge called “Blue Eye”. PONANT offers unique, flexible itineraries, both in polar or tropical regions. Expeditions teams of passionate and knowledgeable experts and regular landings in Zodiacs allow guests to get as close to nature as possible. Guests enjoy on board a unique, intimate atmosphere imbued with French Flair: a blend of gastronomy, high quality materials and an elegant attention to detail and sleek, yet always welcoming, design. The recently announced “Le Commandant Charcot” will be the first electric hybrid icebreaker cruise ship powered by LNG. Beginning in 2021, guests will have the opportunity to go even further, e.g. to the North Pole.